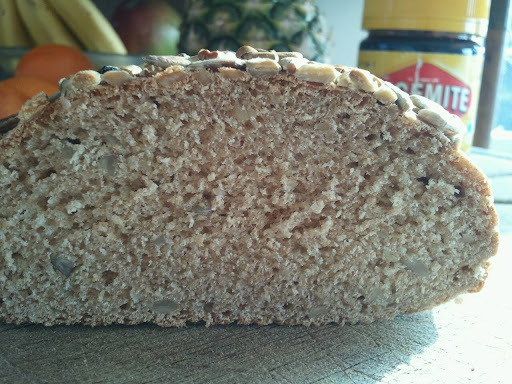 Lately I've been making bread with my Thermomix when I'm stressed. I made this yesterday when I should have been working on a seminar. Grind dinkle seeds for 30 to 60 seconds on speed 10. Add remaining ingredients and set on interval speed for 2.30 minutes. Shape into a loaf form, allow to rise for 30 to 40 minutes. Sprinkle with sunflower seeds. Bake in a preheated oven, 220°C for 20 to 30 minutes. This recipe has been adapted from Brotbacklust.